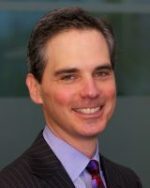 Rodd has concentrated on transactional and compliance counseling since joining Manko Gold Katcher Fox LLP, an environmental and energy law practice, in 1997. He has extensive experience structuring environmental due diligence for real estate and business transactions, negotiating environmental provisions in contract documents, and advising clients on satisfying state and federal cleanup programs and property transfer laws consistent with business objectives. Rodd has also counseled companies on complex regulatory programs such as hazardous waste management, release and right-to-know reporting, storage tank operations and corrective action, spill prevention and countermeasures, and polychlorinated biphenyl use and cleanups. His work has included providing legal oversight for regulatory compliance audits, and representing clients to resolve government enforcement actions.